With more than 70% of consumers stating they will make a decision based on a companys posts, social media has a large influence on consumers. Your presence is important to us, and to your customers. Be exciting, social, and relatable!? We can help by setting up campaigns and offering continuity across your multiple social media platforms. Social media can also affect how your Search Engine Optimization performs and the hits you get on your website. It is just as important as a business to have updated social media as it is to have an up to date website. 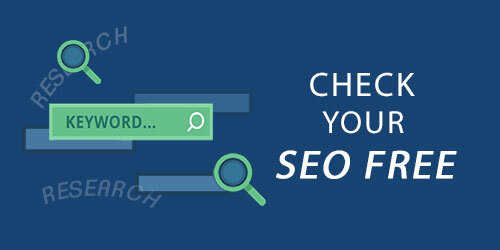 Oh, and thats also included in our SEO package. The emergence of social media platforms has changed the rules. Existing and potential customers expect a more personal conversation. The consumer is becoming more educated via the web. Aging Baby Boomers have become more tech savvy and the other generations also know where to look for almost anything on the web. The edge is in creativity and the amount of knowledge companies are willing to share. How does social media affect my SEO? Social media and SEO are two tightly linked strategies. Both are organic, inbound strategies that focus on building your brand identity attracting visitors naturally. Social media relies on high-quality content coupled with a visible, stout brand presence. The work you put in on SEO can greatly improve your social media reach and vice versa. A facebook fan page allowing customers to interact directly with the company and establishing a community. Fans can add photos, videos, and make comments on recent postings through fan pages. Updates on news, tips, specials, and promotions ad to the experience and builds relationships. Twitter pages are built to capitalize on conversation. The key to Twitter is listening first, and then adding informative value added information to the conversation. Also, responding to direct messages and tweets from followers. Twitter background adds extra information to drive website interaction. Continual posting and direct messaging promotes additional conversation. LinkedIn increases your professional visibility. A business profile adds creditability and allows employees to connect for engagement on a professional level. A clear company profile is needed to demonstrate expertise. YouTube uses videos to tell a story. A YouTube channel allows for the visual demonstration of available products and the satisfaction of current customers. The videos can be promoted through the other social media tools to effectuate viral marketing. The establishment of expertise is an important part of social media marketing. Demonstrating to the public you are an expert will set your company apart and feed interest. People will spread the news and information if they deem it worthy, interesting, and of high value. This will be accomplished by posting articles from reputable news sources, blog feeds, and answering consumer questions. Videos and slide shows are other methods of providing content to establish expertise.